Between the end of a semester and the holiday season, it's never hard to find free time to read in December. This year in particular I found myself with copious amounts of spare time as all of my finals were stacked into 27 hours and my thesis deadline was a day later, and beyond that I had no time obligations. This December I finished 12 books, including this year's Man Booker Prize winner, several short story and poetry collections, some thrillers, and some good old fashioned romances. As soon as I'd heard Beatty's most recent work won the Man Booker Prize I knew I had to get my hands on a copy. 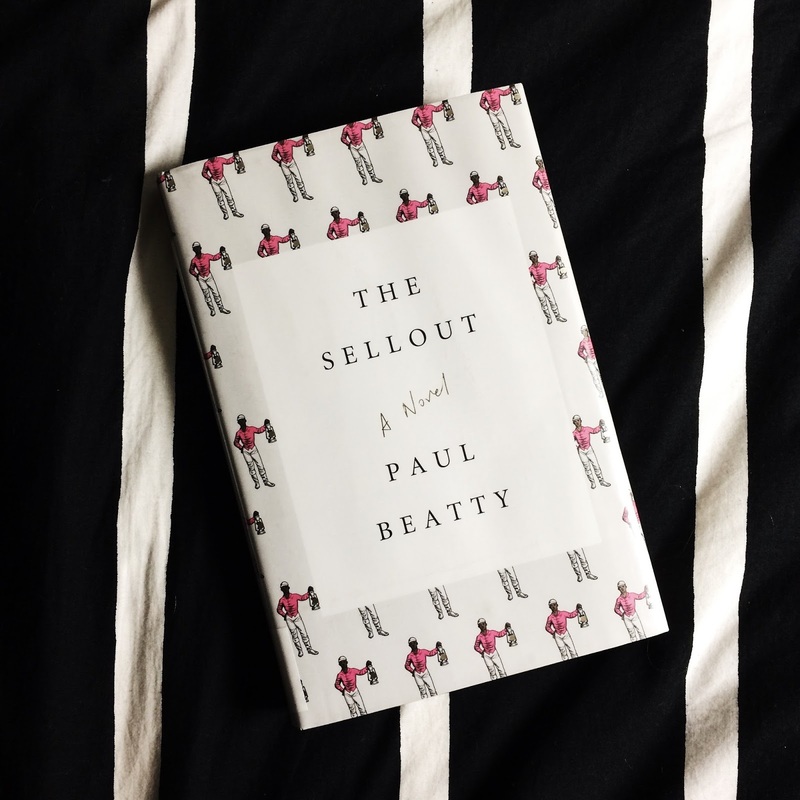 The Sellout is a satiric tale of a young black man who, after discovering his hometown of Dickens, CA has been removed from the state map, decides to resegregate the town and reinstitute slavery. It's an outrageous, taboo tale that is very cleverly written such that by the end you question your own feelings on the subject and the purpose of his actions. I read Eileen on the almost-reluctant recommendations of other book bloggers and for its being shortlisted for the Man Booker Prize this year. Eileen is from the perspective of a young woman who works in a youth correctional facility and gets pulled into a bizarre, morbid crime. It's a skin-crawling, creepy story that makes you want to shower after you've read it if only for how dirty the main character is. It's an interesting read, but I wouldn't necessarily recommend it to anyone. Bonney - the creator of Design*Sponge - profiled 100 female artists of varying skillsets, industries, races, and backgrounds to encourage other women to embrace their creative sides and start their own businesses. Written in straight Q&A format and sprinkled with photos of the artists in their workspaces, the book is the perfect coffee table piece for those wanting a little dose of creativity and inspiration in their lives. I recently read Lahiri's most recent work The Lowlands and wasn't very impressed by it but nevertheless picked up a copy of her short story collection on the recommendation of a friend. Interpreter of Maladies is a selection of 9 short stories featuring Indian and Indian-American families as they navigate the hard moments of life. The stories are not told as grand events but rather focus on the very human emotions that touch everyday moments. I loved Interpreter of Maladies so much that I'm willing to forget the disappointment of The Lowlands and read some of her other works. Setterfield's gothic suspense tale has been on my tbr list for years and I finally got around to it this past month. The Thirteenth Tale centres around a well-loved British author and the young biographer she employs to publish her real life story after lying about her identity through her entire writing career. Most reviewers said this was a book for people who love books, and they were right. Those familiar with gothic literature will enjoy this tale the most, as it heavily echoes the genre. The Thirteenth Tale is a slow build but the payoff at the end is worth it. I've been working on du Maurier's historical suspense/romance tale since January, as I have a regrettable habit of putting books I own at the bottom of my to-read pile under all the library rentals. 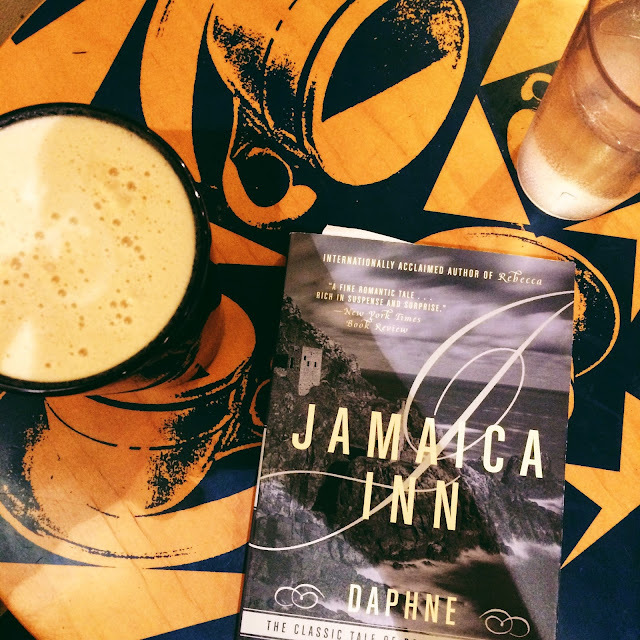 Jamaica Inn follows Mary Yellan, a 23-year-old girl who moves in with her aunt and uncle to an inn in Cornwall, which her uncle uses as a front for his group of wreckers - men who run ships aground on the coast and steal cargo. Mary tries to avoid getting involved but keeps finding herself getting pulled into their unsavoury business. Even more embarrassing than the amount of time it took me to read Jamaica Inn was the amount of time it took me to read Emma, as I started Emma in November 2015 and finally finished it about a week ago. My only excuse is that it was my second or third time reading it, and as I was already familiar with the plot I prioritised other books. Emma, Austen's famous tale of a meddlesome young matchmaker and the surprising twists of her friends' relationships is an amusing one, and makes for fun character studies as most of the book is dialogue. As a fierce Austen lover, I always enjoy coming back to her books, and this round of Emma was no exception. I've always loved a good thriller so it's shocking and a little embarrassing that I've read very few of Christie's works. Murder on the Orient Express, one of Christie's Hercules Poirot novels, is a classic murder mystery about a passenger who is killed aboard a train trapped in a snowdrift. While the plot may seem a little simple by today's novels standards, I'm always amazed at how much the mystery genre owes Christie for her creative storytelling. I, like most other, discovered Shire's poetry through Beyonce's Lemonade. I loved her words so much I searched the internet for more of her work and found a selection through Poetry Foundation. Our Men Do Not Belong To Us is written for and about African women as she explores male-female relationships and their innate complex emotional entanglements. Shire's poetry is written with a sense of compelling urgency and it's hard not to read them all in one sitting. I've had a copy of Eliot's famed Middlemarch on my bookshelf for months now, but finding its page length rather daunting I settled for a much shorter piece of her work to give me an introduction. At under 200 pages, Silas Marner is a short yet moving book about a linen weaver whose gold is stolen and a little girl who stumbles into his home one wintry night and is adopted by the lonely man. Eliot is quoted as saying Silas Marner was her favourite of her own works, and though it is the only of her books I've read so far, it quickly became a favourite. Kathleen Collins, a little known African-American filmmaker, explores deep topics through character dialogue in this previously unpublished selection of short stories. Each chapter is relatively short yet covers immense ground between its characters. As interesting as the stories are, they can be hard to follow; Collins throws the reader right into the centre of each story in the middle of conversations without any context. As with most collections, some stories are better than others, but it's well worth reading through the book's entirety. After reading Highsmith's Strangers on a Train a few months ago, I decided to pick up another of her works and settled on the 1955 psychological crime thriller about a young man named Tom Ripley who moves to Italy in attempts to convince an old friend to move back to America and commits unsavoury acts whilst there. The book is told from Tom's perspective, and just like Strangers on a Train, we are given his truly unsettling full thought process as to why he acts the way he does. I enjoyed The Talented Mr. Ripley more than Strangers on a Train, and I will continue to pick up copies of Highsmith's books in the future.